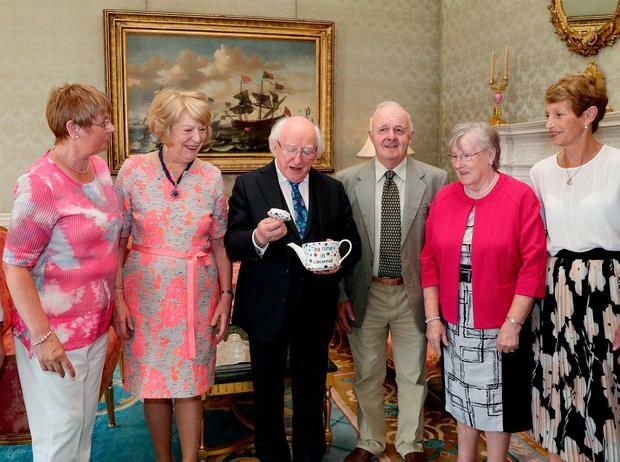 Local authorities have been asked to consider nominating a candidate for the forthcoming presidential election as the race for the Áras heats up. Pieta House founder Joan Freeman has penned a letter to nine local authorities urging them to convene a meeting to allow her to make her pitch. A potential challenger for the presidency can lodge nomination papers with the backing of four authorities. The senator is the first of the slew of names who have been floated as potential contenders to reach out to them. The position taken by Fianna Fáil – which has said it is urging councillors to back Michael D Higgins in his bid for a second term, but won’t be applying a whip – has offered a reprieve for candidates looking to seek a nomination in this way. Fine Gael’s national executive last night rubber-stamped the party’s decision to endorse Mr Higgins. Councillors have been requested not to nominate a candidate in opposition to the sitting president. However, ahead of the meeting, MEP Seán Kelly raised concern that Sinn Féin is the only political party running a candidate. “Having the pitch more or less to themselves might not be the best strategy from an electoral point of view,” he told RTÉ Radio. Sinn Féin is expected to outline its process for selecting a candidate in the coming days. Mr Kelly said he would consider running himself but it was not an overwhelming ambition and ultimately he will support the party’s decision. Meanwhile, Independent TD Michael Fitzmaurice said he has received confirmation from 19 members of the Oireachtas who have said they are open to backing a candidate to run. The Roscommon TD is shoring up support for a candidate and it is understood the strategy is that the person who receives the least support will bow out in order to allow the person with the most support to get across the line. In addition to Ms Freeman, there are two Independent senators who are considering a run – Gerard Craughwell and Pádraig Ó Céidigh. In her letter to local authorities, Ms Freeman claims she has “helped change the national dialogue on mental health and well-being in this country”. Among the other names who have emerged as potential candidates are businessman Gavin Duffy, barrister Noel Whelan, artist Kevin Sharkey and former GAA president Liam O’Neill. Abortion campaigner Ailbhe Smyth has ruled out a run.